wifi network. You can switch sender and receiver by top right button. 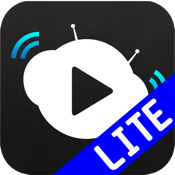 this app is lite version. support only one song to others ios devices.